European Tour — Ruaidhri McGee and Simon Thornton opened with two under 70s as Jamie Donaldson began his push for a Ryder Cup spot by grabbing the first round lead in the D+D REAL Czech Masters. McGee, who has had a quietly impressive season since earning his Challenge Tour card last season, is tied for 22nd with Thornton on t the stunning Albatross Golf Resort outside Prague. The world No 29 carded a six under par 66 alongside fellow Ryder Cup hopeful Stephen Gallacher (70), to lead by one from Swede Mikael Lundberg. Four birdies in the last seven holes moved Donaldson into pole position as Lundberg signed for a 67 to hold second place outright ahead of ten players on four under par. “I know what I've got to do this week so it’s just a case of going out and doing it," Donaldson said. "It’s another golf tournament where you’ve got to go out there and play as well as you can and contend to win the tournament. I’m in a position to do that now, I just need more of the same over the next three rounds." Peter Lawrie, Gareth Maybin and Kevin Phelan carded level par 72s to share 62nd with Damien McGrane tied 83rd after an 83 and David Higgins 131st after a 76. 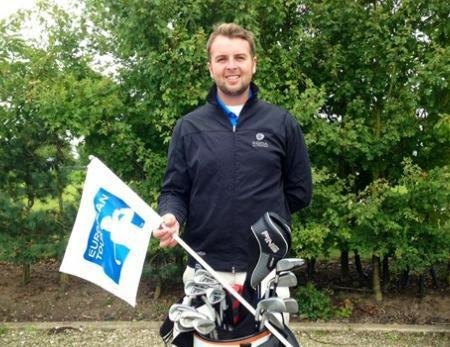 PGA Europro Tour — North West's Michael McGeady tied for third as Peter Tarver-Jones claimed his first HotelPlanner.com PGA EuroPro Tour title. As McGeady closed with a four under 68 to finish on five under in the World Poker Tour Invitational and earn £1,5000, Tarver-Jones shot a final-round 69 to win by two shots from compatriot Miles Collins at Prince’s Golf Club in Kent. McGeady moved up six places in the money list to 19th — less than £8,000 outside the Top-5 with two event remaining — as he finished alongside Scott Fallon, Stuart Archibald and Kevin Harper. Glasson's Colm Moriarty shot a 69 to share 11th on three under with Tim Rice tied 16th on two under. Mark Murphy, Paul Cutler, Cian Curley, Stephen Grant, Matt McAlpin and Aaron Kearney all missed the cut on Wednesday. Amateur golf — Muskerry's Jean O'Driscoll is tied for third with two rounds to play in the Ladies' British Open Amateur Strokeplay Championship at Ashburnham Golf Club. She added a three over 77 to her opening 71 to trail leader Olivia Winning by six shots on level par with Lisburn's Paula Grant a shot further back in joint fifth after a 76. Moate's Amy Farrell (76) is tied for 14th on four over with Castletroy's Chloe Ryan (81) in joint 24th on eight over. Lahinch's Sinead Sexton (80) shares 33rd on 11 over but with the cut falling at 12 over, Victoria Craig, Shannon Burke and Laura Grant missed out. Rosapenna’s Ruaidhri McGee got his bid for a European Tour card off to a sensational start on what was a good day for Paul Dunne, Damien McGrane and Simon Thornton in the opening round of the Qualifying School Final Stage in Catalonia.